But after teaching several nutrition courses centred around the connection between food and health it became pretty obvious to me that unlike other “food trends” antioxidants are actually..well…pretty important. They protect your bod from cell damage caused by a 1980’s New Wave Band err…group of molecules…called Free Radicals. This cell damage has been linked to loads of diseases including heart disease, some forms of cancer, Alzheimer’s and arthritis. In sum… Antioxidants: Good. Free Radicals: Bad. Doctor Oz: Handsome. 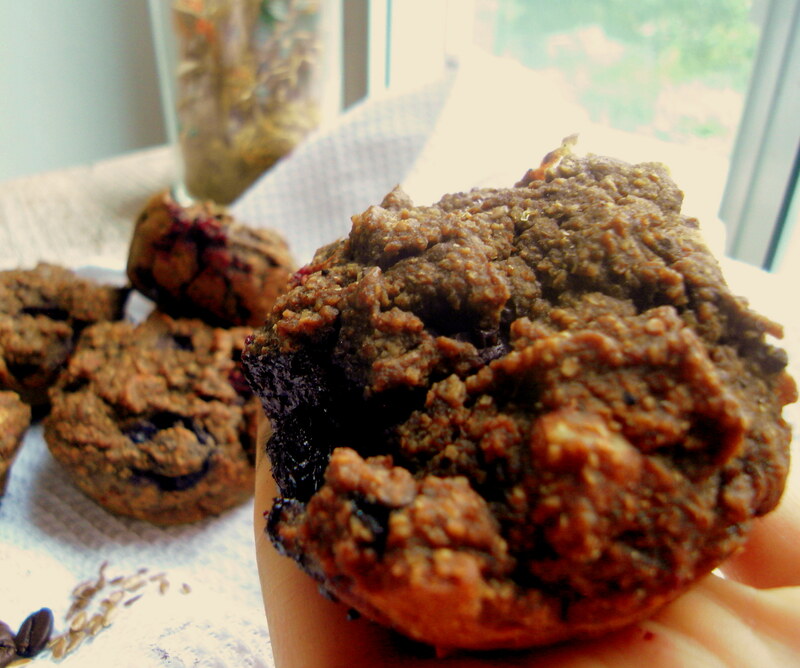 In the search to create a delicious muffin with whatever I happened to have on hand I created this vegan, low sugar, oil-free antioxidant-packed muffingasm. Its deliciously moist and has a lightly sweet, rich flavour that works great on its own, topped with nut butter or crumbled over a hot bowl of oats. Enjoy! Place dry ingredients in a medium sized bowl an stir to combine. While your seeds and liquid sit, add the remainder of your wet ingredients (including chopped pear) to a blender or food processor and blend until smooth. Transfer blended wet mix back to the bowl with flax and milk, stir to combine. Pour blended wet mixture back into dry bowl and stir very well to combine and form your batter. Scoop batter into lined or greased muffin tins, fill about 3/4 of the way. The recipe should yield about 9 medium sized muffins. Berries, Carob, Molasses, Cocoa, Coffee AND Raisins are all jam packed with antioxidant goodness. 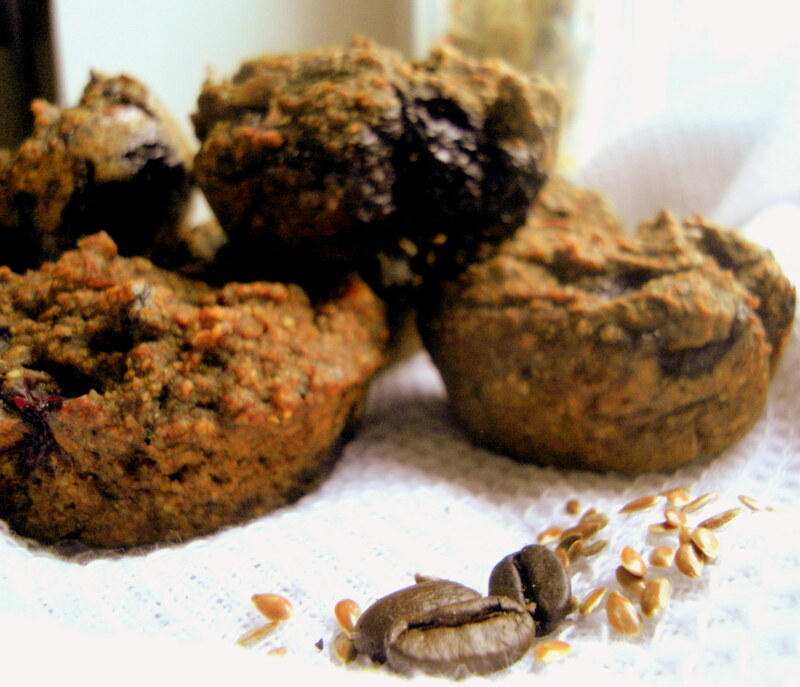 Take that boring old bran muffin! Do you believe the hype around anti-oxidants? How do you get your daily dose? 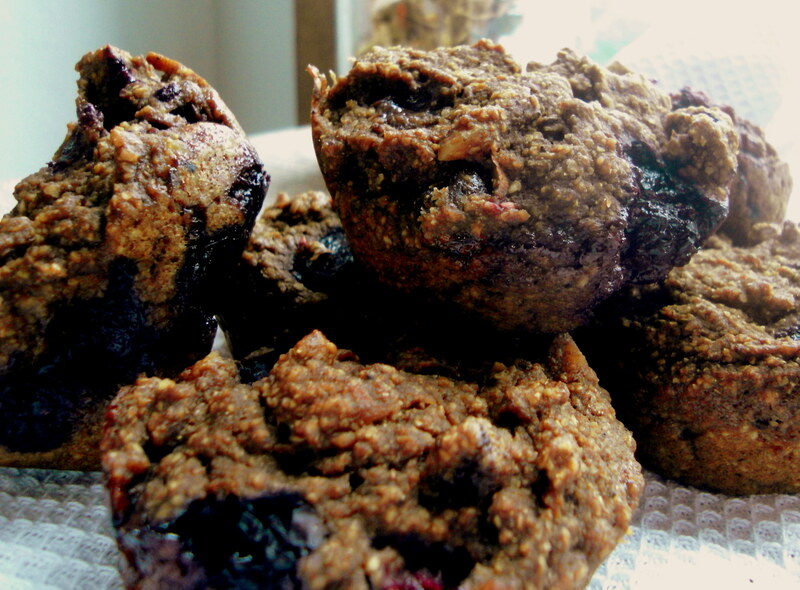 I just tried my first Great Harvest bran muffin and am sort of obsessing a jam-packed branny muffin of my own. These look perfect!